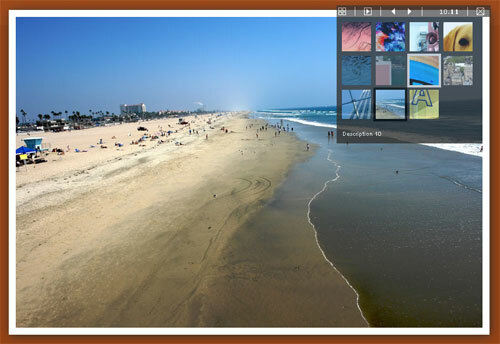 jQuery (mb)Gallery is a jQuery plugin for creating image galleries with a slideshow feature. It is possible to present the galleries in any way wanted & adding a link to display them in the main gallery viewer. The plugin has an inline thumbnail browser which is great to easily switch between images. It is built with AS3 & can display any kind of lists including items that contain images, titles, descriptions, index numbers, additional information, custom backgrounds and overlays. And, although it comes with a default skin, it is possible to create & implement new ones. Web Developer Plus, a blog providing web design/development tips & tutorials, is sharing a slick featured content slider that is built with jQuery & jQuery UI. It is a tutorial which describes each step (HTML, CSS, JS) & comes with the source files. The slider auto-changes the displayed content in every x seconds defined & can switch to the clicked item instantly. 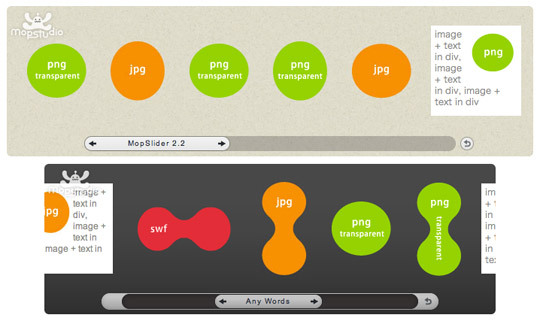 In proportion with the size of the “main image”, the slider can present a limited number of items (4 in the example). tabSwitch is a jQuery plugin for creating tabs & sliders very easily. It is possible to choose from 7 different effects (fade, show, toggle..) with 2 view styles. Any type of HTML can be used & tabs can be switched as previous-next or directly into a specified one. The look of the viewport can be customized via CSS & every single tab can have its own class.